What Size Pool Cue Is Best? So many of our clients are unaware of which size pool cue stick is best to use. Well the old rule of thumb states that you should have at least 57-58 inches of cue stick space between the walls and the nose of the pool table cushion. The nose is the part of the cushion that the billiard balls rebound from. 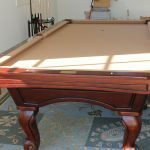 Let’s say that your planning on installing an eight foot pool table in a room that’s 11’9″ by 15’4″, you’ll need to use a 48 inch pool cue for some of the shots. 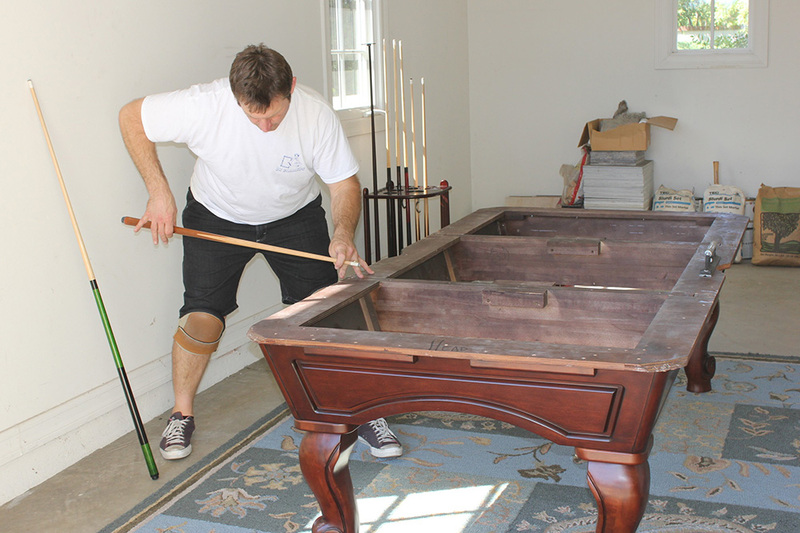 The ideal pool table room size for a 4×8 foot table is 13’3″ by 16’10”. Another determining factor for which size pool cue to use has a lot to do with the players’ height. We always recommend that parents who are buying a pool table for their kids to use should probably consider one of our shorter cuesticks. If your son or daughter is under five feet tall we’d recommend a cue stick length between 42 inches and 52 inches. If you’re still unsure about cue stick sizes then bring you kid down to our OC Billiard table showroom so we may show you the sizes in person.